Did you know that ammonia can damage an animal’s respiratory system? 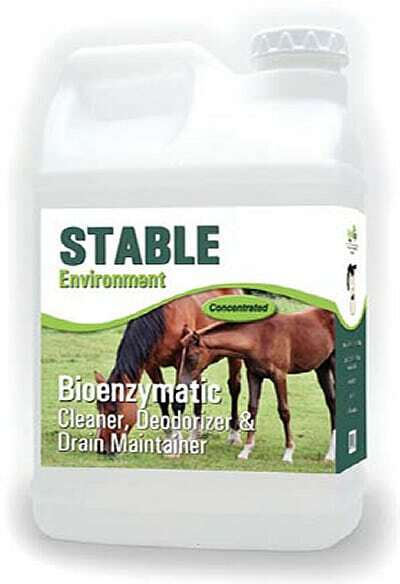 Even at low levels of ammonia, that noxious smell in your stable or barn can create a health risk for animals and merits an effective equine stable cleaner. Ammonia is not just a nuisance odor, it can cause upper respiratory tract problems, putting the animal at risk for pneumonia and other serious health issues. How is the ammonia created? When an animal urinates in his stall, the liquid seeps through bedding and into the porous concrete, deep bedding or stall mats. Bacteria feed on the nutrients in the urea and produce ammonia. The noxious gas rises and is inhaled by the animal. As a result an acrid gas develops, which at best creates a very unpleasant stench; at worst, can damage tissue in the animal’s respiratory tract. Results can include pneumonia, heaves or even equine CPD, otherwise known as asthma. Foals and other young animals are even more susceptible to ammonia’s damaging effects, as they spend a lot more time lying in the stall bedding. According to studies, an estimated 15 percent of all foals have severe respiratory disease before the end of their first year. Animals that may spend more time lying in the stall bedding, such as those recovering from injury, are more exposed to ammonia’s toxic fumes. Test studies have revealed that 75 percent of horses that are kept on bedding without ammonia-reducing compounds suffered inflamed pharynxes – the area between the mouth and esophagus. 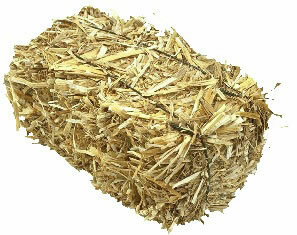 But, only 25 percent of horses stabled with an ammonia reducing product had inflamed pharynxes. Although these measures help control, they won’t completely prevent the buildup of ammonia. 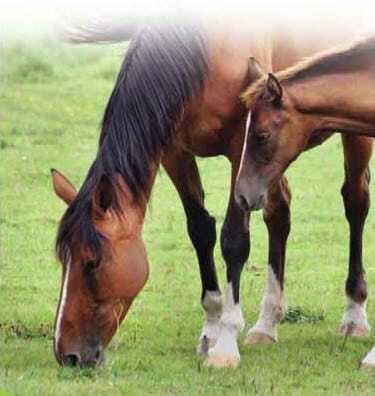 Ammonia reducing products, such as STABLE Environment from ProVetLogic, are important and critical to animal health. Degrading organic matter, eliminates the host. Eliminating the host is the first step in reducing the chance of cross-contamination and noxious odors. In the animal environment where organic matter can imbed into porous surfaces a bio-enzymatic solution is needed to penetrate deep into the soil buildup and surface. 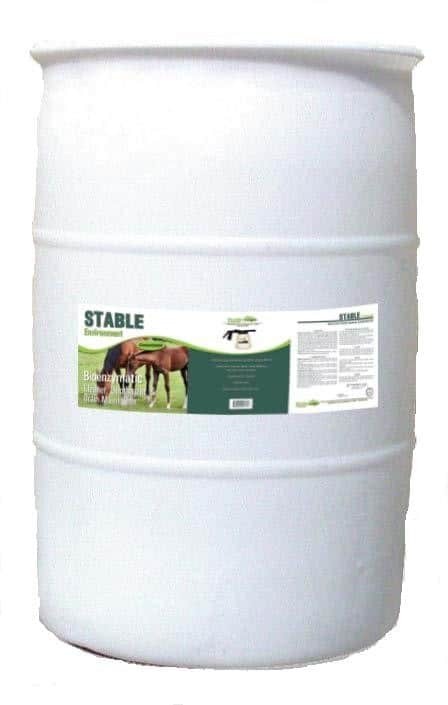 STABLE Environment is the perfect solution for use at Equine Stables and Veterinary Hospitals, Organic Farms, Zoological Parks, Petting Zoos or wherever large animals are housed. Eliminate the Host & the Noxious Smell of Ammonia!